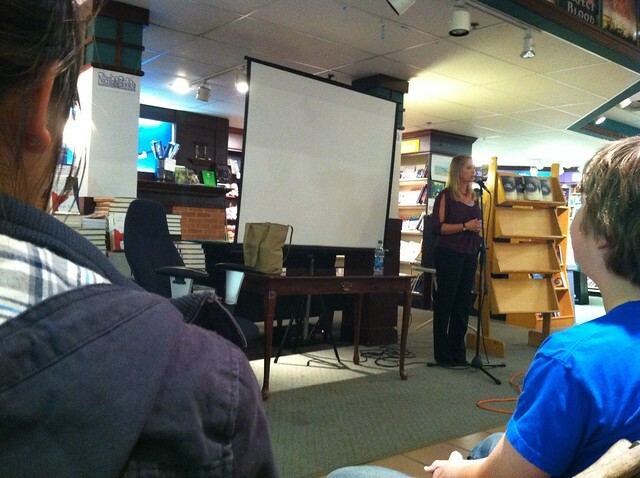 Last night at Nicola's Books in Ann Arbor, local author Laura Ellen debuted her YA mystery novel, Blind Spot. I attended this event with a couple of my Nerdy Book Club friends, Brian Wyzlic and Jessica Crawford and we had a great time. 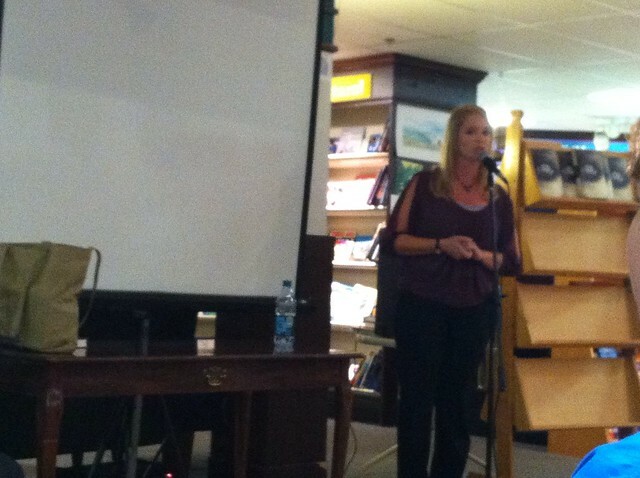 It's always interesting to hear what inspires authors to write their novels and with Laura Ellen it was no different. As per usual, author inspiration so often comes from personal experience. Like her main character, Laura Ellen also suffers from macular degeneration and relates a great deal to the poor choices of her protagonist, Roz. 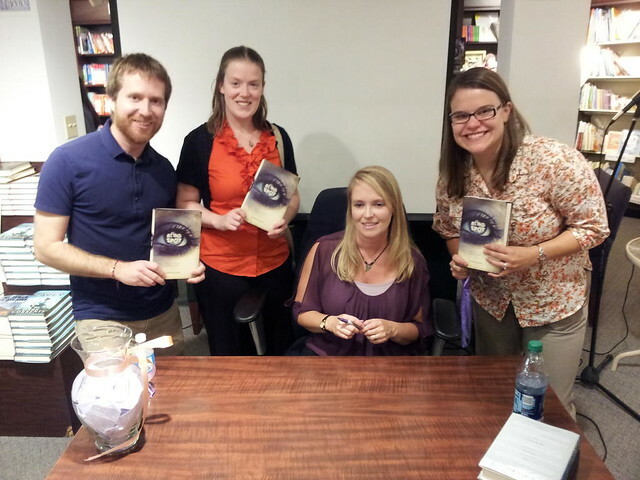 This was the first book signing I've been to at Nicola's where there were literally no more books left on the shelf. Clearly Laura Ellen has a loyal fan base and loads of supportive friends and family who came out to celebrate her new success as an author. It was wonderful to see. I'm looking forward to reading more of her books in the future! 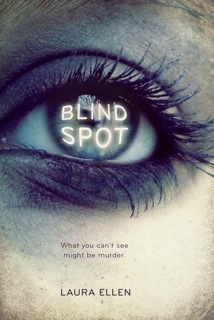 Check out my review of Blind Spot from earlier this summer: the only book I've read in recent months that kept me up until 2 a.m. finishing.